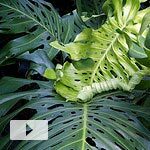 Anthurium warocqueanum is called the “Queen Anthurium” and it’s easy to see why. 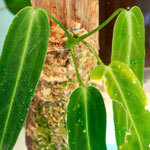 Its elegant, patterned leaves can grow to be three feet long. There’s a breathtaking example in the Conservatory of Flowers, but I couldn’t get close enough for a good photo, so here’s a smaller (but still lovely) example. Last year when I first noticed it at the Conservatory, I sought one out online. The small specimen I received wasn’t much to look at when it first arrived, and unfortunately, it has only gotten worse. 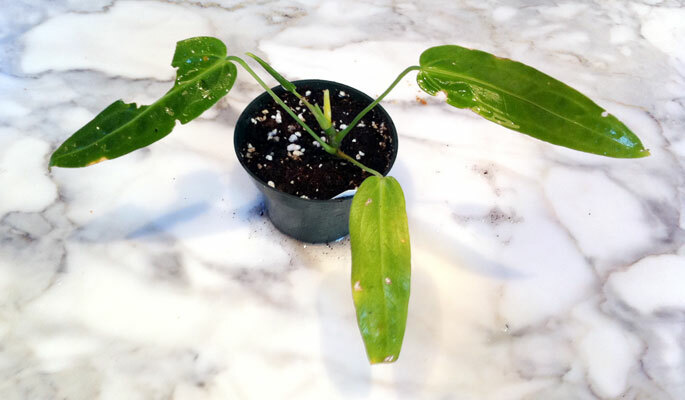 In the seven months since that photo was taken, the poor little Queen lost two leaves and the third just waned. Everything I’d learned about the plant said she should be happy: she had medium indirect light, was moist but not wet, never below 60 degrees, and had no sign of bugs. But, clearly, she was not happy. So it was time for a Hail Mary pass. The only thing I couldn’t account for was the soil. I’d repotted her into my usual mix of potting mix with a little extra bark that my jungle plants enjoy. Perhaps there was something about it she didn’t like? So today I removed her from her soil and washer her roots. They were white and firm – a good sign. I then placed her on a piece of driftwood I’d collected at the beach a while back (I cleaned it and made sure it had no bugs beforehand, of course). Then I placed some damp Sphagnum moss around the roots and bound it all together with fishing line. 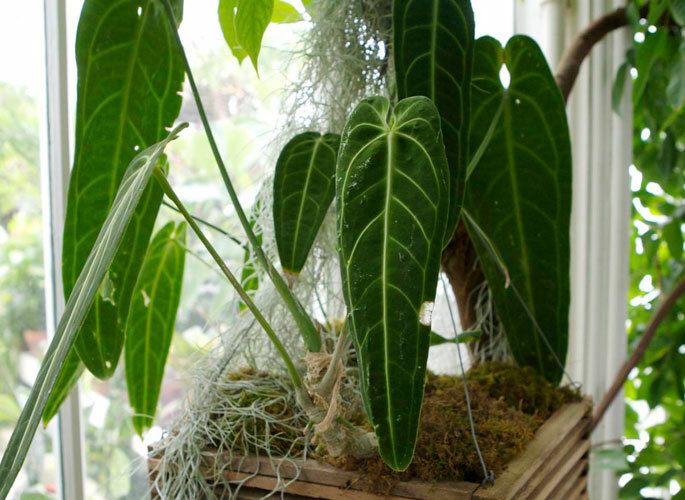 In the wild, Queen Anthurium grow as epiphytes – plants that grow on other plants. 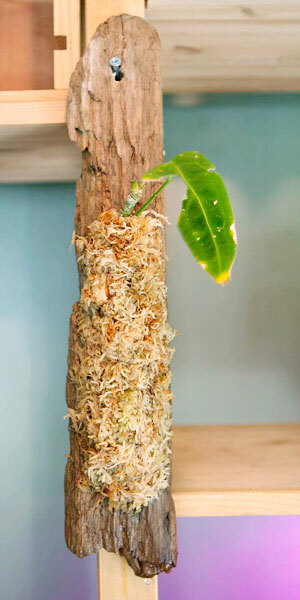 Epiphytic plants typically take root in the damp moss that grows on trees. By mounting it this way, I’m mimicking the plant’s natural environment (at least, as much as I can in San Francisco). The plant’s obviously already stressed, and I’m sure this move will stress her more, so chances are this won’t end well. But at least no one can say I didn’t serve the Queen as best I could. Good luck with that one. It’s a beautiful species! It will be great if it takes off for you on the mounting. 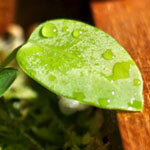 The best specimen I have ever seen was planted in a conservatory very close to a big waterfall so it was getting misted 24/7, if that’s any help. Matti: If you’re looking for new things to wall mount, I’ve got some orchids for you! Zach: Good point. Come to think of it, the giant one at the Conservatory is in the water plants room, growing right above a huge pool. Perhaps she just needs more humidity than my house has. Good luck! There is nothing more frustrating than watching a new plant inexplicably decline. I hope it recovers.